HEIScope SZII Series Auxiliary Lens are for SZII Series Stereo Zoom Microscopes. 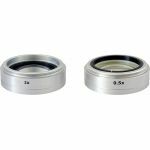 The HEIScope SZII Series Auxiliary Lens are 60mm outside tube diameter. The HEIScope SZII Series Auxiliary Lens come in 0.5x, 1.0x, and 2x. The HEIScope SZII Series Auziliary Lens are designed to change magnifications of the SZII Series Microscopes and to hold the lighting source. 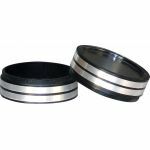 Purchase HEIScope SZII Series Auxiliary Lens sold by Howard Electronics Today!